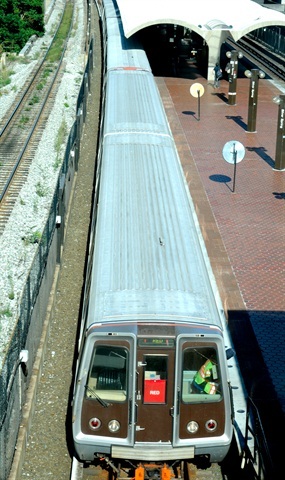 Washington Metropolitan Area Transit Authority (Metro) GM/CEO Paul J. Wiedefeld committed to providing third-party app developers with a new data feed that will show the real-time location of trains across the 117 miles of the Metrorail system. The announcement responds to recent requests from app developers and is expected to generate new and better features on Metro-related mobile applications. "Metro is committed to giving customers the best tools possible to plan their travel, and I want to engage proactively with the developer community to help us achieve that goal," Wiedefeld said. "We hope that Metro's real-time train data can be used to further enhance the quality of information our riders receive through third-party mobile apps." Metro expects to have the real-time train location feed available to developers this summer. Metro has a mature Transparent Data Sets program for developers that supported more than 1.2 billion transactions last year, more than double from 2014. The program has more than 3,000 registered API users, about 300 of whom are active on a routine basis. Metro first made train arrival predictions available in September 2010, followed by GTFS schedule data in May 2011. Transparent data sets are also available for Metrorail lines, fares and stations; along with Metrobus routes, stops and arrival predictions. To better understand the needs of the app developer community Metro plans to host a series of “data days” with developers who use Metro data feeds. Developers will be able to share their Metro-related apps and data visualizations, explore potential new features, and discuss how Metro’s data can be enhanced to support those new features.